The December Solstice is coming up tomorrow, Monday December 21st. As a resident of the Northern Hemisphere, this means Winter Solstice for me and the shortest day of the year. 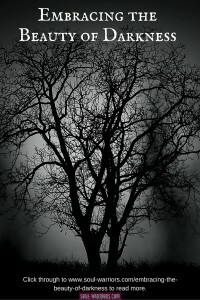 I’ve always loved Winter Solstice, with its chill and beautiful darkness. I love the traditions of celebrating it to welcome back the sun. 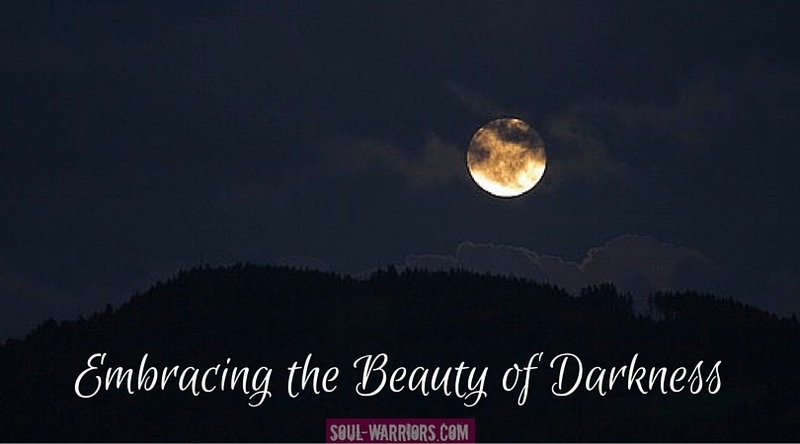 It also gives a lovely chance to acknowledge and celebrate the beauty of darkness. If you’re reading this, it’s a pretty safe bet you are interested in personal growth and living the best life you can. Often we translate to being the best people that we can – which is fantastic. 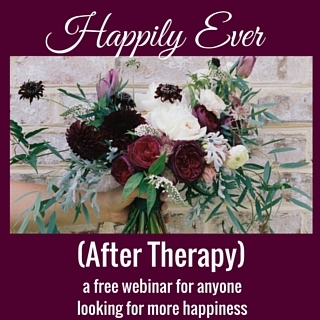 It can backfire if it leads to us trying to be perpetually happy, pleasant, fulfilled people. Which, if you’ve tried it, you know is impossible and the very attempt exhausting. We’re human, with all the light and shadow that comes with that. No matter how much therapy we may do, we’re still going to have off days, crappy moods, and issues that haven’t quite been resolved. No matter how ‘spiritual’ we are, we’re going to be occasionally mean, short-tempered, and jealous. As true personal growth junkies, we often take those darker edges of us and shine the light on them through shadow work or thought work and do our best to eradicate them or evolve beyond them. That’s awesome…up to a point. It’s wonderful when it’s fueled by a genuine desire to learn and grow and love yourself wholeheartedly. It’s a little less awesome when it’s fueled by perfectionism, self-judgement and fear of being not good enough as is. How am I here to help? In our road rage example, you’d become the road rage itself and then ask its purpose and how it is here to help. Maybe the rage is trying to blow off steam from your hatred of your job, or your general life stress. Just listen to what it has to say. Celebrate it! Claim and celebrate this ‘shadow’ part of yourself this solstice, when darkness rules.